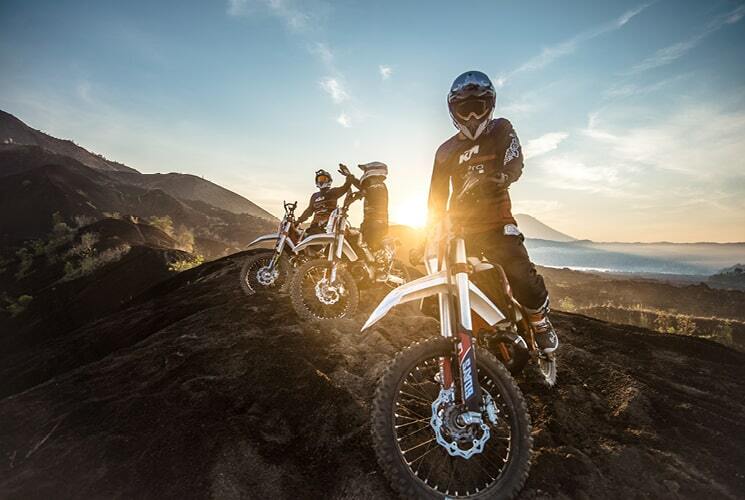 Are you ready for experiencing the best Bali dirt bike tours of the entire island? Find out what is included in our packages and which tours we have in store for your enjoyment! Hotel / villa transfers to base camp / starting point in AC minibus. Helmet & goggles, boots, gloves, elbow & knee pads, chest protector, top & pants. À la carte lunch & drink at a local restaurant. Water is provided throughout your trip. All damage to the bike and gear is covered in package costs. Keep your Bali Dirt Bike jersey as a great souvenir of your trip. 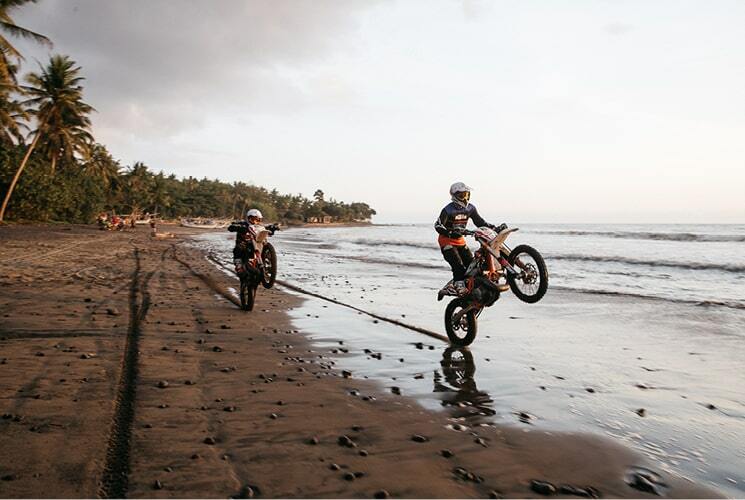 Our experienced team will give you a detailed introduction on how to ride the motorbike for all Bali dirt bike tours. They will also teach you how to use the clutch and show you different breaking techniques. The Tabanan Jungle track will take you through rain forest and rice fields. 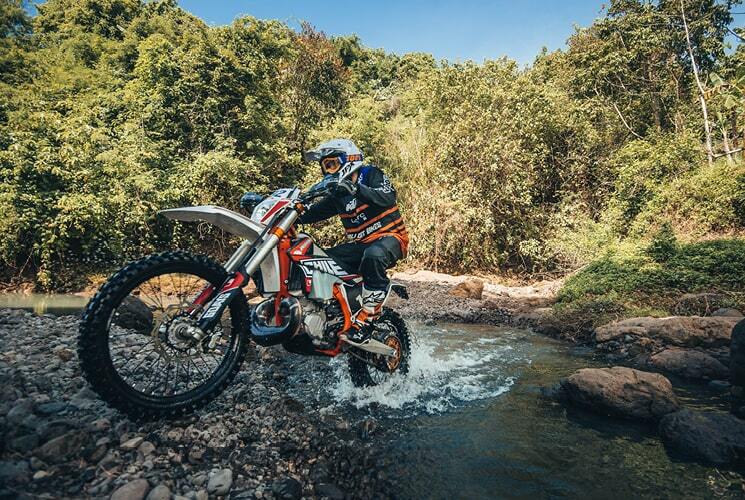 It offers natural obstacles dense vegetation, logs, rocks and rivers. The motocross tracks were made with various options to adapt to each riding level. The Tabanan Beach trail takes you and your Bali trail bike along 40 km of picturesque coastline, multiple river crossings, and the thrill of pure controlled drifting. 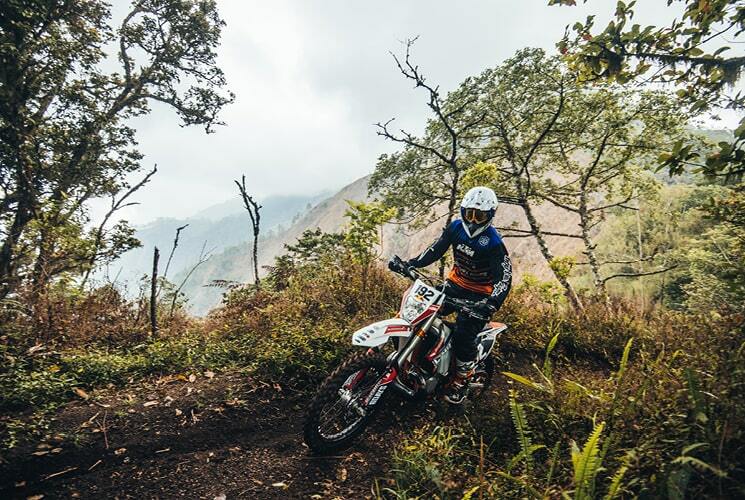 Ride through the volcanic landscape of Mount Batur, and experience the impressive black sand dunes on your dirt bike tracks. The trail offers a wide selection of terrain from dense forest to steep downhill jungle and sandy river beds. Thanks to its high altitude the temperature stays pleasant and you won’t suffer from extremely hot weather. 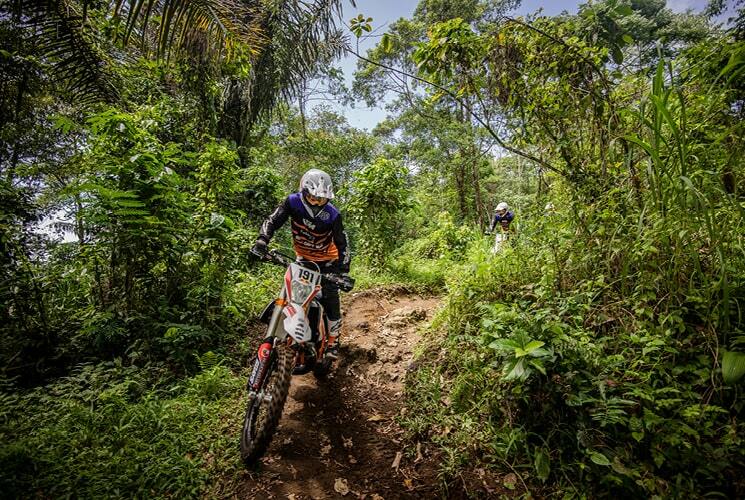 The rubber forest will be the best single trail riding you’ll ever do. Easy fast trails, river crossings, friendly hill climbs, it simply has it all!